Something a bit unexpected happened, but it looks like I’ll be able to deal with them how we want. 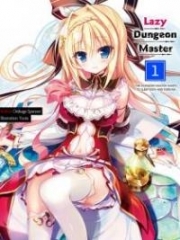 … Letting the dungeon’s darkness bury them sounds good. It’s not as though I’m exposing Maidence and shikina to danger. Among the things Rei enhanced herself with was the [Illusion] skill. It was an ability that allowed you to show illusions to another. She hadn’t used it at all since enhancing herself, so I figured now was a good chance. What’s up with that? Is it that this world identifies phenomena by when they are observed, so that if there are a lot of observers, you need a relative increase in power to maintain the illusion? Mmm, I’m not sure. It does sound like it has some crazily annoying requirements though. At any rate, I guess I should just remember that she can’t use it in front of a lot of people at once. Based on that, yeah, looks like I can use it. Luring them from the guild where there’s so many people looks to be impossible, so I guess we’ll do it in the cave? I’ll have to have Maidence and shikina wait in the inn until it’s safe though. Maybe I should call for them for a chat? I asked her to get Maidence, shikina, and Meat. Rei left the room, immediately returning with all three of them. Maidence’s maid didn’t come in, but she was standing outside the door. Looks like Rei didn’t tell them anything. And Meat, there’s no way I’d do something as scary as ask them about anything hug pillow related, yeah? I should get this moving. Immediately after I spoke, shikina’s eyebrows knit together and Maidence grew serious. Meat remained as expressionless as usual. … Maidence’s reaction was a bit surprising. It wouldn’t be surprising for young ladies like her to grow pale after hearing that, but she just held the brave gravity of a person placed above others. It looks like I won’t have to watch my words for her in this. Since shikina would follow my orders and Meat would do anything I said, I just need to focus on speaking to Maidence here. What’s with that thoroughly bit? And stop blushing. I’m ignoring you now, ignoring you! shikina managed to take my attention away, so I faced Maidence again. Right? I’d tilt my head and not understand how receiving a full body massage would help with catching criminals if I were in her position either. Only Maidence would have the blue curls to shake like that though. By the way, me talking so explicitly about Rei’s skill here is so that I won’t use it poorly in the far future and so that I can declare that it can’t be misused. It would’ve been better if it was a lie and I could abuse it though. c.r.a.p, I could’ve done that! … Not, I wanted to go through the proper steps just in case. Yep. Another problem is my confidence in it. Unless I show that they actually hunt rookies, I might end up as being seen as offhandedly forcing punishment on innocent people. … Let’s just say it’s my own selfishness. Maidence just stared at me fixedly. I guess I can put her to use if she really wants to? I can put something out through the adventurer’s guild as a nominated commission. The criminals shouldn’t want to make their move inside the village, so it should be fine. Moreover, Maidence also seemed pleased with the plan and nodded in agreement. shikina, however, interrupted. Well, Rei wouldn’t be able to use her illusion inside the guild at all anyway, so let’s have shikina get a bit of experience in that too. The two of them shook hands. Good luck. Also, when I was telling them the gist of their performance—when I mentioned that Meat would be Maidence’s pet, Maidence seemed overly worked up about it and blushed furiously. Well, let’s not look too much into that. With all appearances set up, time to work on preparing what’ll actually happen. Also also, she had to memorize the feeling of their clothes as well, so I had them lend their clothes along with the massage… but I could only see Rei as a pervert after seeing her smell their clothes and rub it against her cheeks like that. Let’s keep that bit a secret. … I mean, she really was being serious about it. She was smelling the clothes like a wine taster would sample wine.